Happy Monday Crafty Friends!! Back again! 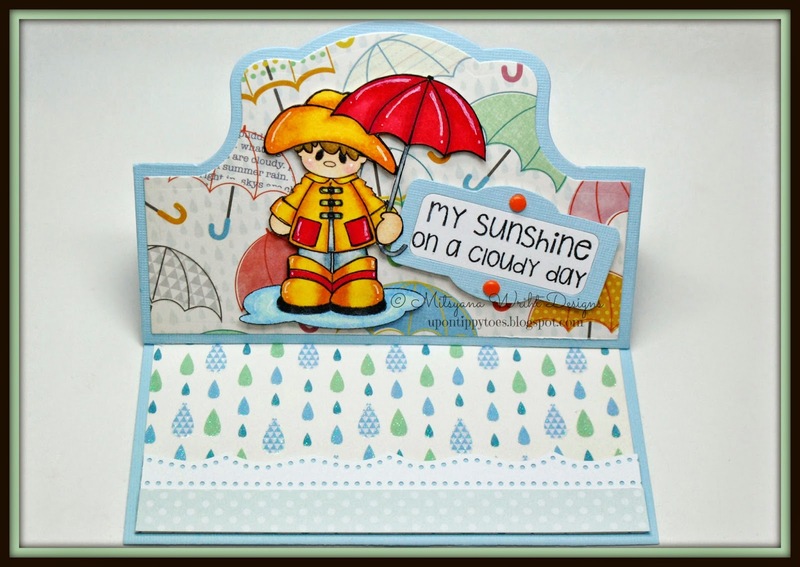 This time with an easel card!! I had purchased this die set quite a while ago... I can't even remember when... but I know it was sometime last year. 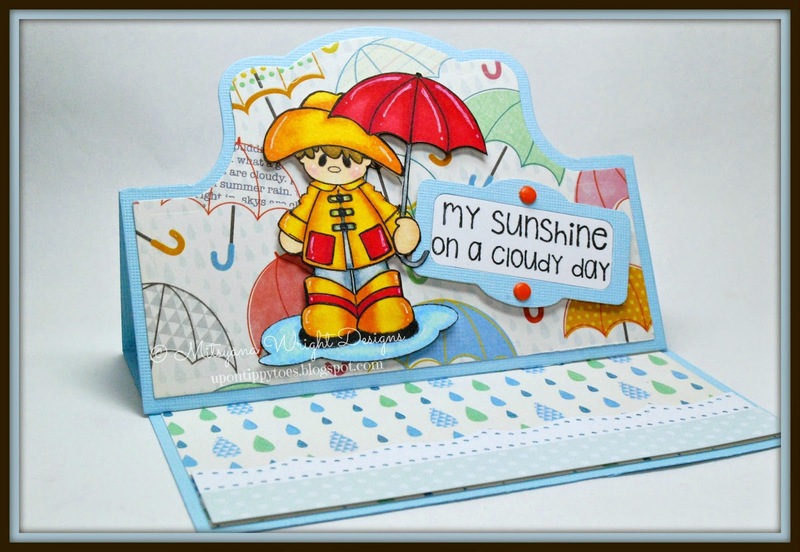 I bought it off of the Sizzix website back when they were have crazy deals plus free shipping. I finally got around to using it. Yay!! See, I don't "just" hoard craft tools and supplies... I use them too... Well, I eventually do! 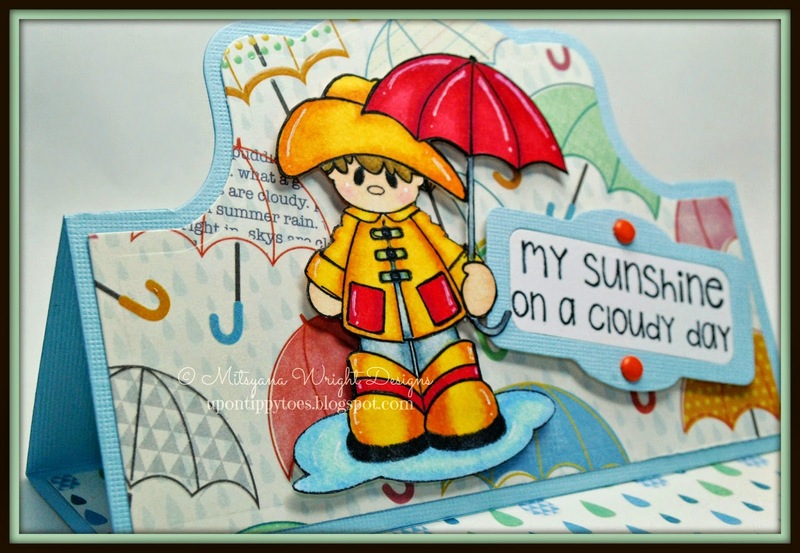 Here's a sneak peek of one of the newest stamp sets from Pink and Main! 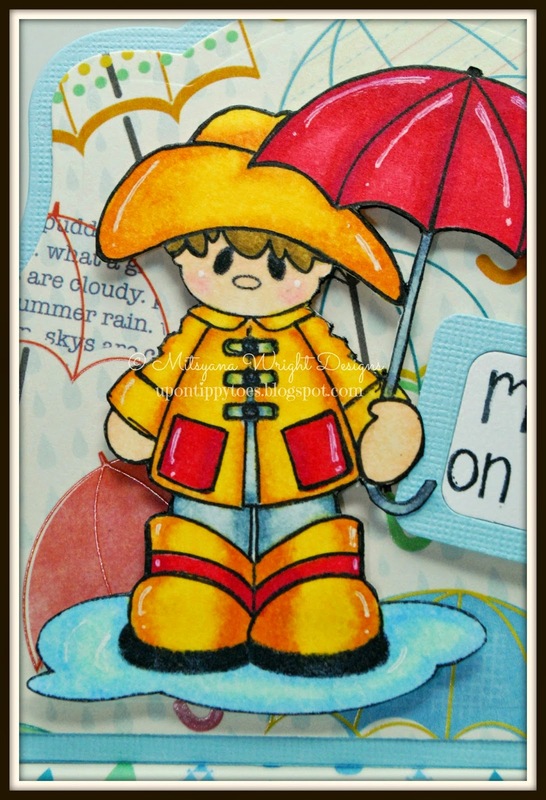 This little guy comes from the new Puddles Boy stamp set. 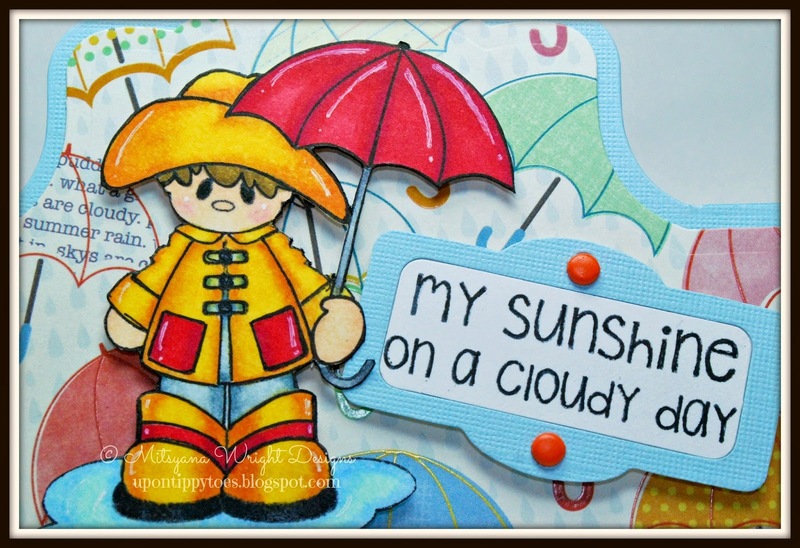 The sentiment on this card is included in this set. OMG... Look at those boots!! Isn't he the cutest!! Boys aren't your thing...Well, don't fret, P&M is also releasing a girl version!! EEEEk!! CUTIE OVERLOAD!! I can't wait to show you all the rest!! But for now, this will have to do!